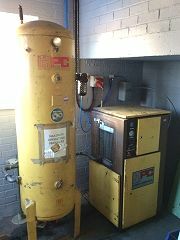 HPC SK11 screw compressor and tank as per photo. Working order. Ready for collection. Sold as seen.